A Gulf Coast Yacht Repair and Refinishing Company That Keeps our Customers Boats the "Envy of the Dock"
We have enjoyed serving the Gulf Coast now for more than 2 decades! We have seen that no matter what trial comes to our area, the beautiful water and beaches makes everything bounce back. That is why there are still an abundance of Gulf Coast boat owners who need affordable, but high quality boat repair & restoration services. We believe that when it comes to maintaining and repairing your boat, high quality results should be attained at reasonable prices. 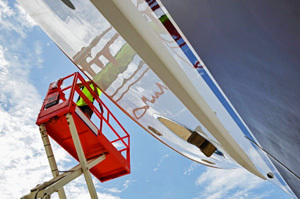 We work on luxury yachts to personal watercraft, but the commitment to quality stays consistent. 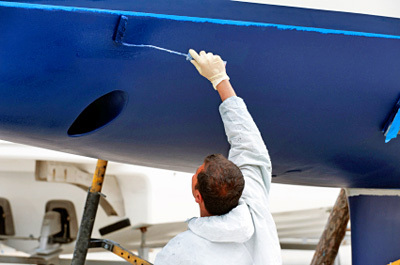 It is simply not worth having cheap work completed, which can affect your boats appearance and the safety of it. You might feel like we do, that boaters are a certain breed of people. Their a people who just crave being on the water whether for recreation or fishing. They take their boats care seriously, and want to be treated right when having it repaired. When working with us, we will stay true to our commitment to offer friendly and courteous customer service. "This is the place to go for any sort of hull damage or repainting. The prices are fair, and the work is good. I highly recommend using them, ask for Nick..."